Create and send rich SMS messages securely through Whispir’s online SMS platform. 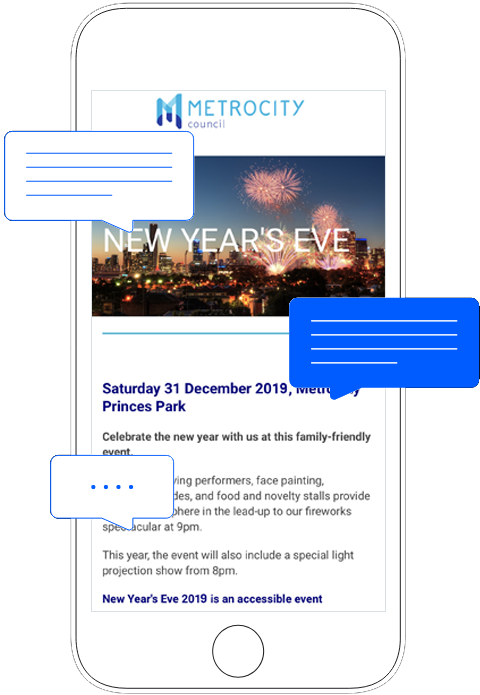 Combine our text messaging service with all your communication channels to craft effective, omni-channel messaging at scale. Trigger escalations, automatic replies and cross-channel responses using Whispir’s workflows. 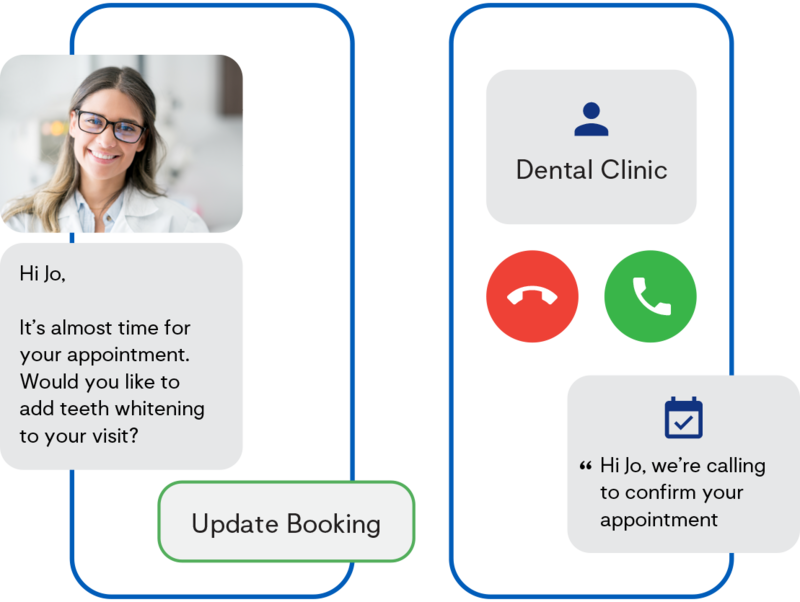 Seamlessly integrate your existing systems with voice messaging, email, SMS, push notifications and more to design a messaging workflow that best suits your organisation’s needs. SMS remains a communication channel capable of high levels of engagement, with 90% of recipients opening an SMS message within 3 seconds. Use SMS to send messages directly to your audience’s cell phones, encourage real-time interactions and improve brand loyalty. Heard enough? Try it free for 14 days!